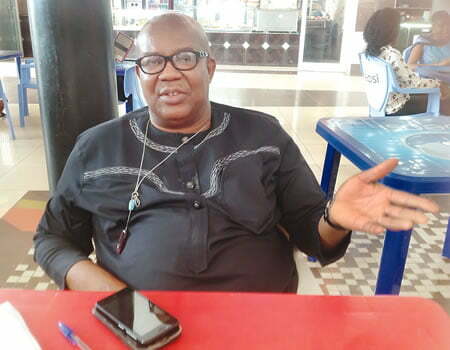 The founder of Igbo Youth Movement and the Secretary of the Eastern Consultative Assembly (ECA), Elliot Ugochukwu-Uko, has spoken up on why it is absolutely necessary for President Muhammadu Buhari to be voted out during the forthcoming presidential election on Saturday. In a statement sent to DAILY POST, Ugochukwu-Uko alleged that Buhari divided Nigeria through his parochial and nepotistic worldview, destroyed the economy and turned millions of Nigerian youths into drug addicts through the help of his cabals. He disclosed that the cabal ruling Nigeria through Buhari, plans to manipulate the elections to earn a second term in order to turn Nigeria to â€˜Somalia or Afghanistanâ€™. The ECA scribe said, â€œThey redeploy security and Police officers in a manner to take advantage during the polls they know they are sure to loose, threaten foreign observers that,they will certainly send them home in bodybags, remove the CJ unconstitutionally and deny opponents the use of government owned stadiums. â€œGeneral Buhari and his goons, have no reason whatsoever to ask for a second term. Nigeria will implode if Buhari is allowed another term. General Buhari divided Nigeria, through his parochial and nepotistic worldview. â€œTurned regions against each other through his lopsided appointments, horrified the nation by his tolerance of the brigandage of the herdsmen militia and shocked his 2015 supporters with his glaring ineptitude. â€œAfter destroying the economy, he embarked on a vengeful mission of punishing his political opponents in the guise of fighting corruption. Creating fear and despair in the land. â€œBuhari turned millions of our youth into codeine and tramadol addicts, his directionless policies also made betnaija gambling, the greatest preoccupation of the large army of unemployed youngsters, his mismanagement of the economy created. â€œHis aides constantly tell us, he is not aware of anything. His dear wife screams for all to hear, that her husband is not in charge. Many of his associates decamped to the PDP,abandoning him in his sinking boat. Uko further warned that anyone who votes for any other candidate aside Atiku Abubakar on Saturday, â€œwill only be helping inept General Buhari to hang on to power. â€œCurrent level of insecurity, hunger, suspicion, anger, despair, discontent, division and poverty, will only intensify. â€œThe judiciary will be totally emasculated, the legislature, crushed and paralysed, then the journey to Afghanistan will truly begin. God forbid,â€ he added.